Meet my AMAZING friend Lizzie. Lizzie and I have been friends since the day we enrolled at university. Like myself, Lizzie is a dedicated teacher. She is fearless and determined to make waves in order to educate the underprivileged. Whilst I was undergoing my final year of studies, 21-year-old Lizzie was living in a poverty stricken village in Tanzania, Africa, educating herds of smiley children whilst compromising her own health to do so. Lizzie developed such a deep connection with the people living in the town Mto Wa Mbu that despite her age and lack of experience in business, she started up a charity organisation to raise money in the hopes of building a community/education centre for the people she now calls her family. I’m was over the moon when I recently heard that Lizzie’s hard work was finally gaining some national recognition; as she appeared in the most recent Women’s Weekly. 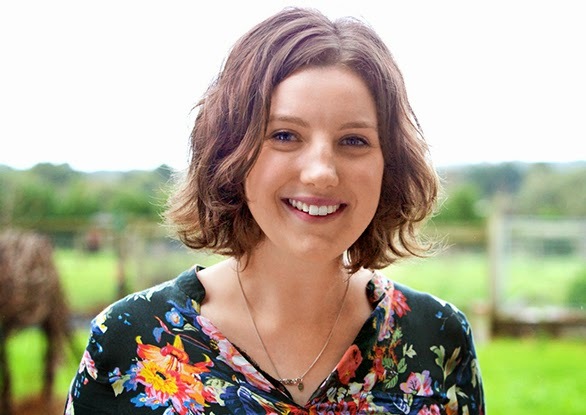 Lizzie is currently one of 15 semi-finalists in the running to win a $20,000 scholarship to go towards building costs and resourcing the community centre. I know most of you recieve links to vote for various competition entrants (and if you’re like me, you usually ignore all the pleas), but if you do vote for Lizzie, I can guarantee that this girl will make good (brilliant rather!) of the winnings. You can read more about Lizzie’s incredible project or watch her interview by clicking on the link below. Whilst on her page, please vote as many times as you can by clicking ‘Vote’ then refreshing the page. I couldn’t be more proud of my friend Lizzie; she is an inspriation to young people and especially those who are passionate about empowering others through education.